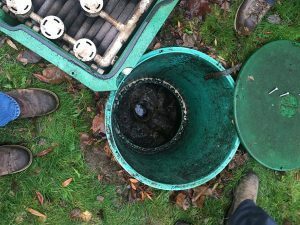 If you have a dry well system installed on your property, then you might have to face dry well problems at some time or another. However, having the help of the professionals is the best way to correct any dry well problems you may be having. Vac-Tec LLC is a reputable company that offers high quality dry well repair services for Buckley, WA residents. Being an experienced company, we know how to provide dry well cleaning services that meet the needs of our customers. As your dry well repair experts, we will take care of all aspects of dry well repairs. We will get the dry well rid of any chemicals, water or other debris that has caused the dry well to back up. You can be assured that we provide expert dry well services at reasonable prices. As mentioned, dry well systems differ from each other on most properties. However, the purpose of any dry well system is to keep the excess surface water from flooding the home or the basement and to introduce that water into the ground water. If you are considering a new dry well system or a french drain system well evaluate your property and make the right recommendations for you and your budget. Doing away with the dry well problems in Buckley should not be difficult as there are several companies providing these services. However, it can be difficult to choose the best company for the dry well rejuvenation. We have a long list of satisfied customers who have worked with us to solve their dry well problems. 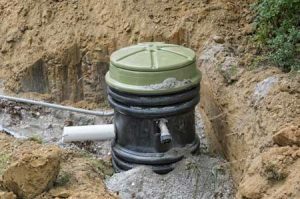 As we also offer dry well maintenance, our customers call us for repairs and maintenance of the dry well systems as well. You can call Vac-Tec LLC at (253) 777-4887 for any dry well repair services in Buckley. We are here to help you!